We were shocked when we see this picture about Jehovah's Witnesses. Though we know that members of Jehovah's Witnesses are people that are and should be well spoken of, we did not know that even celebrities have the time to take notice of them. 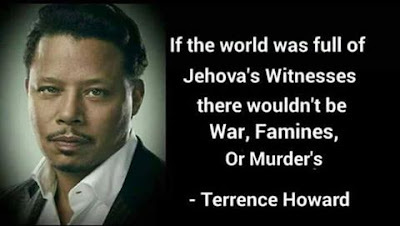 What do you thinks about this religious group called Jehovah's Witnesses.